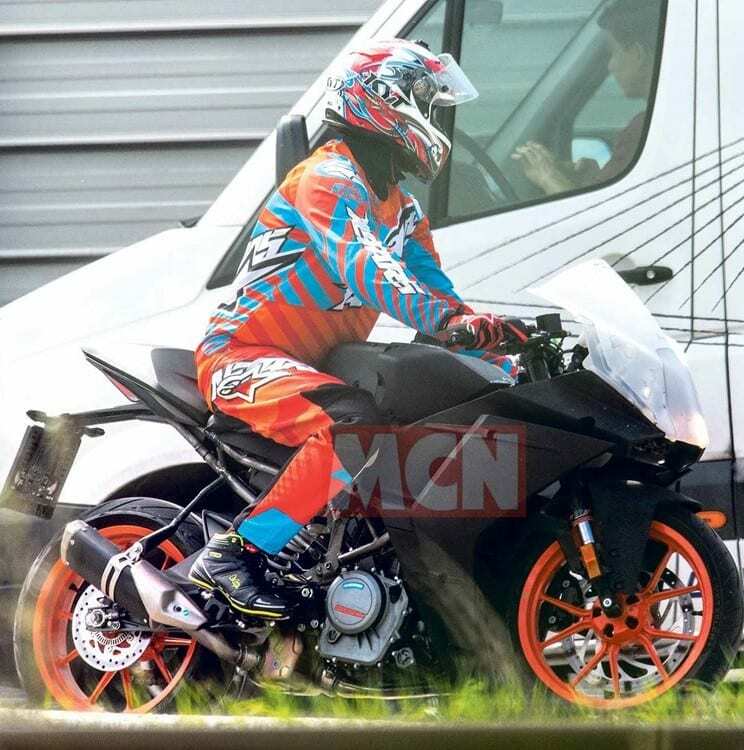 2020 KTM RC 390 was recently spied testing for the first time. The supersport machine is coming with an all-new front fascia, side fairing and most importantly, the frame under its body. 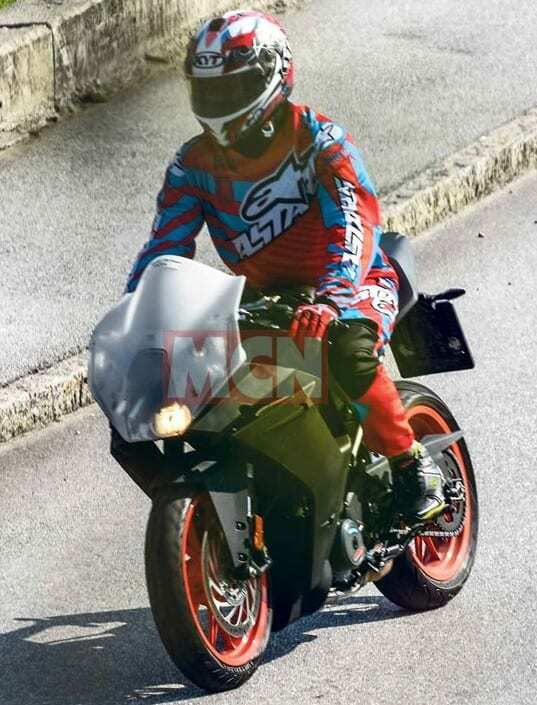 The bike seen here features the same main frame as KTM 390 Duke, covered partially under the new fairing and finished in a dark grey shade. The handlebar position also seems new at the moment, with the rider getting some stress relieved from the wrists in the available image. 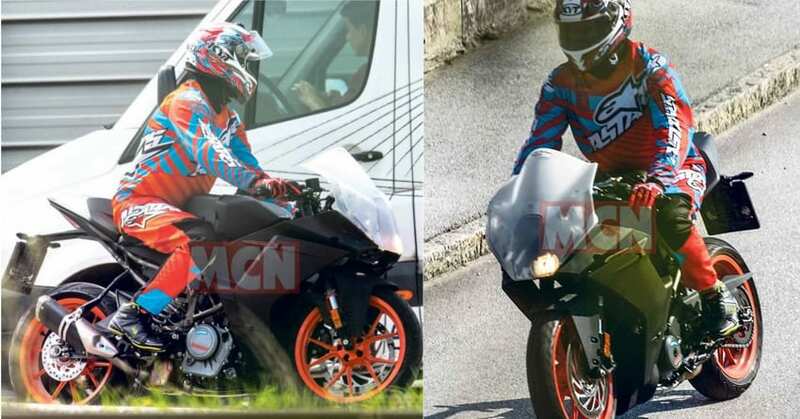 The subframe of 2020 KTM RC 390 is different in comparison to the Duke, with the one seen here getting the bending effect for reduction in rear seat height. The tyres, suspension and exhaust look exactly similar to the present version, further getting the familiar orange alloy wheels on the racer. The fuel tank here feels exposed, all due to the removal of a connecting part between the tank and fairing in favour of this straight flowing panels that directly connect with the face. The front comes with a completely transparent bubble visor on the spied motorcycle, showing the illuminated headlight under the same frame and wider-than-ever presence with extended fins to both the sides. KTM is expected to use a bigger tank with more fuel-carrying capacity. 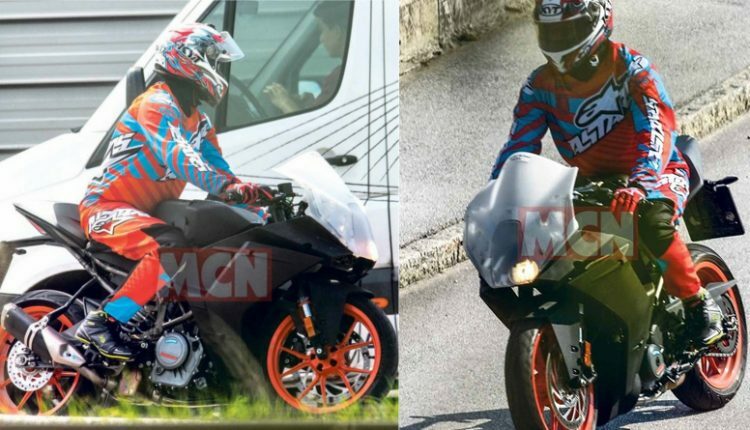 KTM will replace the ageing console with modern TFT unit from the 390 Duke. There are no chances of modification to that console as it already features smartphone connectivity, automatic brightness adjustment and loads of other features. KTM RC 390 is good for 43.5 PS of maximum power. The 36 Nm of torque figure may get a bump in performance as Duke 390 is good for 37 Nm of torque. The current price of KTM RC 390 is lower than Duke 390 but after these additions, the price will reach INR 2.50 lakh for sure (approx, ex-showroom).